Android has another layer of protection in that it doesn’t give one app access to the resource of another app. 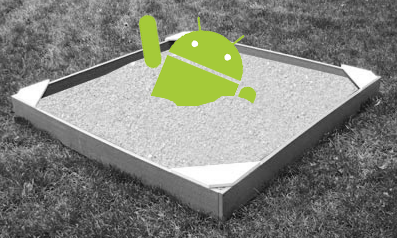 This is known as the ‘sandbox’ where every app gets to play in its own sandbox and can’t use another app’s toys! Android does this by giving each app a unique user id (a UID) and by running that app as a separate process with that UID. Only processes with the same UIDs can share resources which, as each ID is uniquely assigned, means that no other apps have permission.